The Honda’s Acura shares a pretty decent log in the North American market. Acura has got a car in every segment. They have the sedans, SUVs and the performance vehicles. Even they are manufacturing cars that meet the daily usage requirement. Well, they even have their lines got into the luxury SUV segment. One good example could be taken from the RDX. Though it is not just the only luxury SUV from Acura. But it is among those that are still alive. Way back in 2006 Acura introduced the RDX. It was introduced to cover up the gap that MDX left behind. Actually had to fill-up the compact crossover SUV slot. And the RDX was the ideal option they had that time. Consequently, the RDX was unveiled and was launched into the market in the very next year. That was the first generation of the Acura RDX. The overall design was fine, and it received a decent market response. Along with that, the safety specs were awesome. The road safety departments rated 5-star to the safety of first-generation RDX. Well, by the start of 2012 the second generation RDX was introduced. And in the same year, the vehicle entered the market as the model for 2013. While it was even a decent car with some fine safety specs. By the start of 2018, the third generation was introduced. 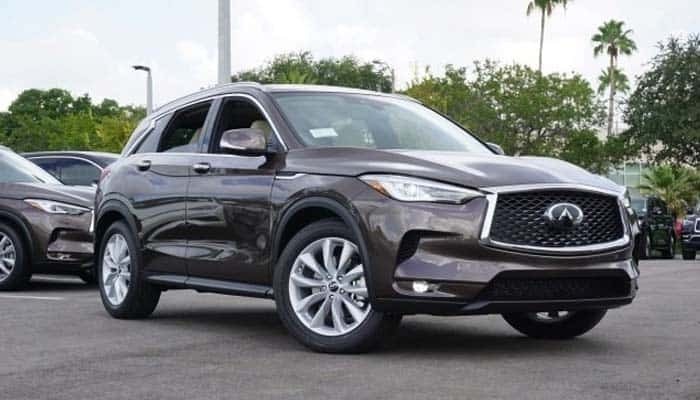 And subsequently, it was marketed as the model for the year 2019. Well, a lot of changes have been made for the present generation. And it expects to get a performance variant with the Honda’s Type-S specs. Further, it gets a starting price of $37,400 with 4 trim levels available in the series. 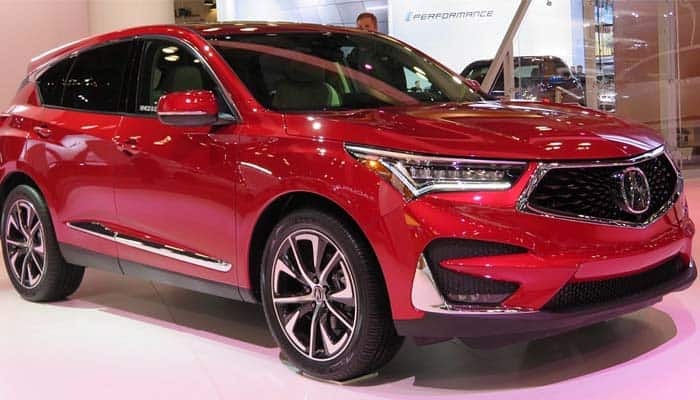 The Acura RDX has been reduced to a single power variant. And that is not even a V6. 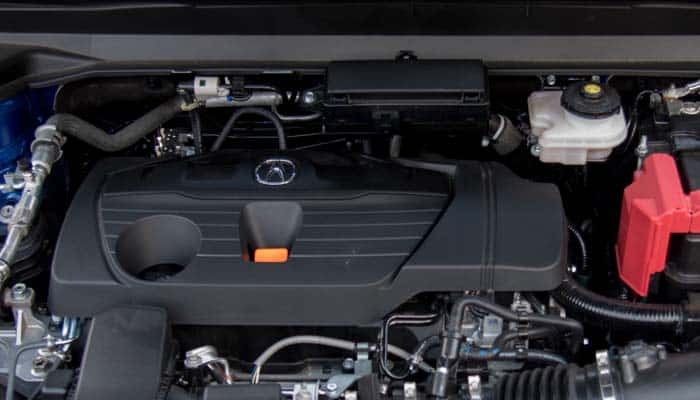 It is a 2.0 L 4-cylinder turbocharged engine with a decent power rating. While there is no performance variant available yet in this generation. Well, it is expected that Acura might be introducing the performance spec models later in this year or by the start of the second decade of Y2K. Ahead of that, this 4-cylinder machine makes 272 hp of power pounding at 280 lb-ft of torque. It is a direct injected VTEC engine that comes standard with the front-wheel-drive. While an optional All-Wheel-Drive configuration is available with the SH-AWD variants. Further, the powertrain is mated with the 10-speed automatic transmission equipped with the paddle shifter. Well, the Acura RDX is not the fastest in its class. But it has a subtle configuration to make you enjoy every bit of performance. In our test that RDX lapped 0-62 mph within 6.2 seconds. And it is capable of knocking 125 mph as its top speed. Moreover, the RDX can bring in 24 mpg as the combined fuel mileage. Certainly, it is a decent family SUV with a mild fuel expense. Alongside performance mechanism, the RDX has even received a handling upgrade for the new generation. Well, the steering would not feel heavy anymore. Instead, it incorporates some latest tech that sweetens the handling ability of this car. While the SH-AWD models are softer than the standard models. 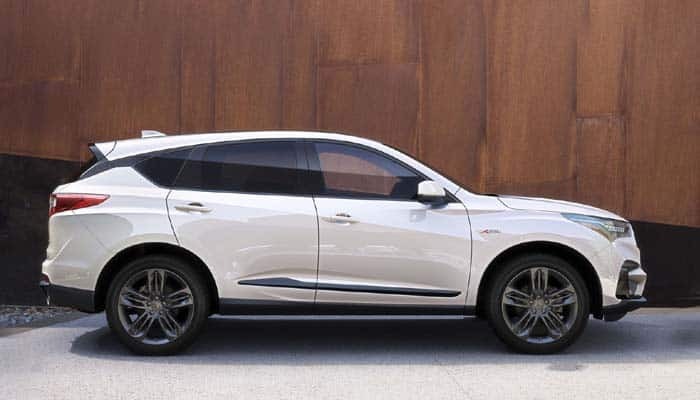 The all-new RDX looks a lot different from the previous generation. The newer looks make it appear aggressive, sporty and full of energy. With all this, the panoramic roof has been made standard for the trim levels. Further, some standard cosmetics features include Acura’s Signature Jewel Eye LED headlamps, LED dragon taillights, heated side mirrors, twin-exhaust mufflers, and 19-inch alloy wheels. While the A-Spec variants get 20-inch alloy wheels. Ahead of that, RDX weighs too much. The front-wheel-drive variants weigh at least 3,780 lbs. And the All-Wheel-Drive take in 4,020 lbs. Certainly, that is not enough to support the performance at all. The interior is neatly appointed. And there is almost a decent comfort detail included in the design. But the spacing gets a bit itchy if you get in your tall fellas. The front row is quite fine and offers sufficient head and leg room. But the rear row traps the tall guys with congested headroom. 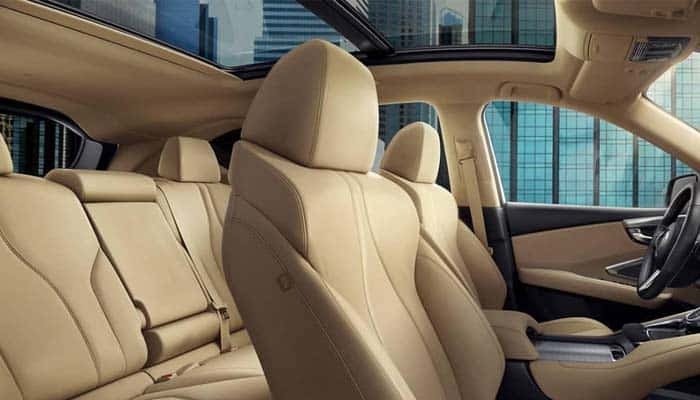 Further, the ingredients include leather trim heated and ventilated seats. Ahead of that, the trim collection even includes the suede and the premium Milano leather. 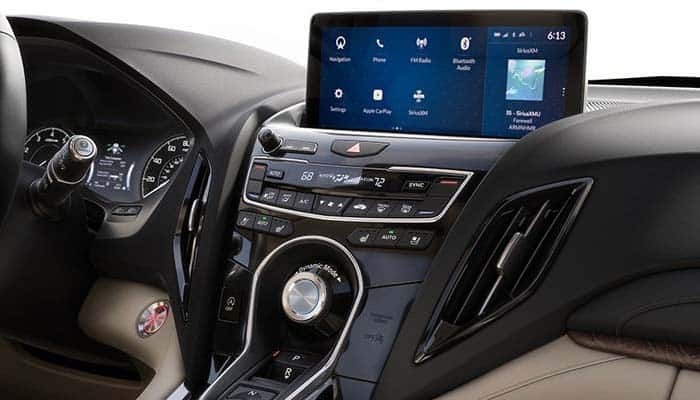 The RDX gets a 10.2-inch touchscreen infotainment system. The system features a new platform for the car. While it would certainly take some time for the user to get intact with the complete system. Well, navigation, Siri and the Apple CarPlay are available for the RDX. Along with that, it features the hotspot, Bluetooth, telephony and the voice recognition features. Ahead of that, the RDX gets a 7-inch configurable driver’s cluster display. While the Advance Package even gets a 10.5-inch Head-up display. The base variants get the standard Acura audio system with 9-speakers. The mid-trim level gets 12-speakers and slightly better audio controls. While the final trims share 16-speakers each and the ELS premium 3D audio system. 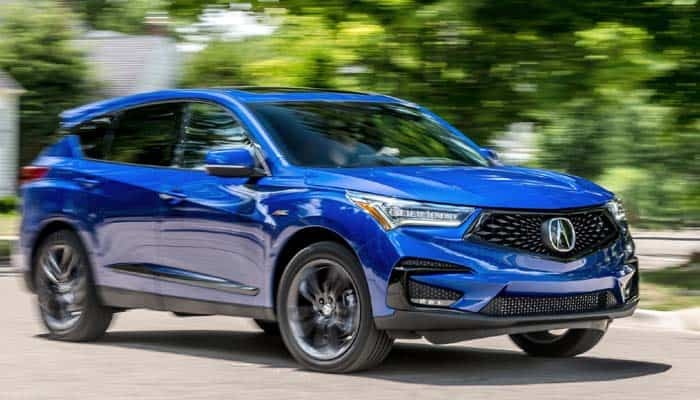 The Acura RDX scored satisfactory grades under its safety examination. There are numerous active safety features in this car. Along with that, it includes all the necessary passive safety equipment. Further, the standard features include the adaptive cruise control and the autonomous emergency braking system. While, some other features include parking sensors, head-up warning, lane keeping assistant, collision mitigation system and a few more. The Infiniti’s QX50 has a similar power rating. While it has introduced a newer engine technology in the market. With all that, it even gets a lower price tag. But the consumer rating is far better for the RDX than the QX50. Well, that is all because of the exceptional interior setting and fine designing of the car. While it wholly offers a Honda SUV experience. But that is fine enough for a family ride.